With direct monorail access to Sea World, Sea World Resort & Water Park is the ultimate theme park holiday destination. Located on the Broadwater, guests will enjoy 4.5 star facilities and friendly service all within easy access to famous Gold Coast beaches and shopping. 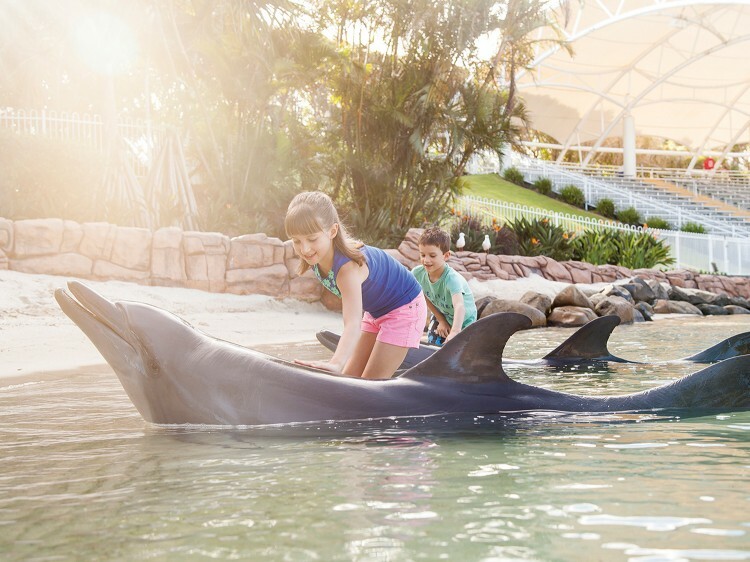 Sea World Resort is the only hotel in Australia where guests will receive an exclusive Dolphin presentation, free when they stay two nights or more. The Dolphin Discovery presentation is set in the spectacular Dolphin Cove theatre and will provide guests with an insight into the amazing world of the Dolphin while they witness a sneak peek of a Dolphin training session, all before the park opens. Stay connected at Sea World Resort with free WIFI now available for guests. You can relax by the pool and keep up to date on FaceBook or enjoy a glass of wine in the Lobby Lounge while checking your emails. The free WIFI service is also available in all rooms along with free broadband access. In addition to four restaurants and two bar areas (including modern seafood buffet and Japanese cuisine, the resort offers a host of seasonal watersports, a popular evening Kids Club plus massage and beauty. Sea World Resort's unique features include absolute waterfront conference and meeting facilities, heated lagoon-shaped swimming pool and award winning restaurants, just to name a few. You can leave your luggage with the concierge on arrival and after check out to enjoy a full day at Sea World or the resort. (Please be sure to check your deal, as Sea World entry is not always included in all packages offered for sale). 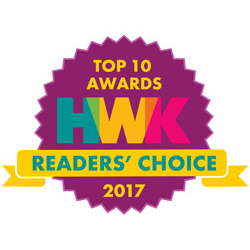 Sea World Entry Package - includes accommodation in your selected room type plus Unlimited Sea World Entry during your stay. Entry is included for 2 adults in all room types or 4 adults in a Deluxe Family Studio Room. Extra adult / child price is $40 per person per night and includes entry. VIP Theme Park Package - includes accommodation in your selected room type plus 2 VIP Passes for unlimited entry to Movie World, Sea World and Wet'n'Wild Water World. Extra adult / child price includes VIP Pass. Conditions: 3 night minimum stay applies. VIP Passes are provided at check-in and cannot be redeemed earlier. The kids will love newly the upgraded Kids Club with specially designed SpongeBob SquarePants and Dora the Explorer activities. With the latest X Box 360 games, live appearances by everyone’s favourite characters, a kids movie theatre regularly screening children’s movies and a host of fun and fabulous games and activities like face-painting, arts and craft and team sports; the kids club is the icing on the cake for every child’s dream theme park holiday. SplashBash - splash around with everyone’s favourite sponge and his nautical friends in the awesome SpongeBob SplashBash aquatic adventure playground. 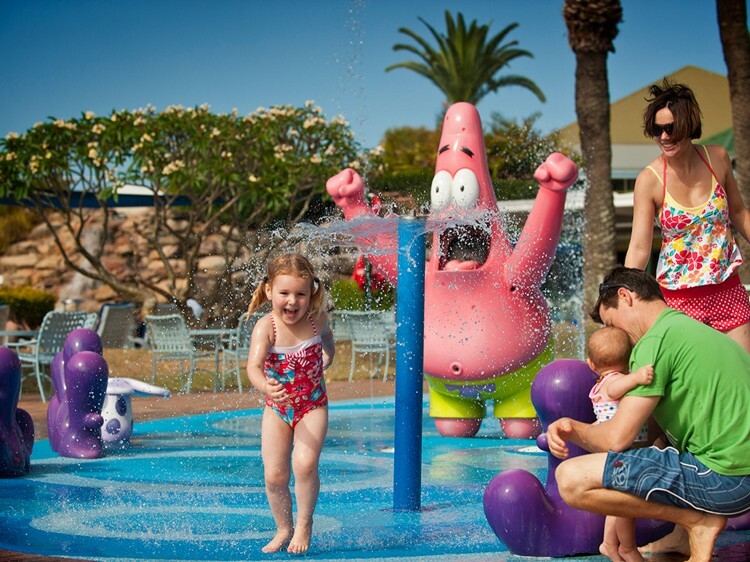 With bright and colourful water-play areas themed around SpongeBob SquarePants, Patrick Star, Gary, Squidward and a few cool jellyfish, the kids will delight at their very own underwater adventure in Bikini Bottom. 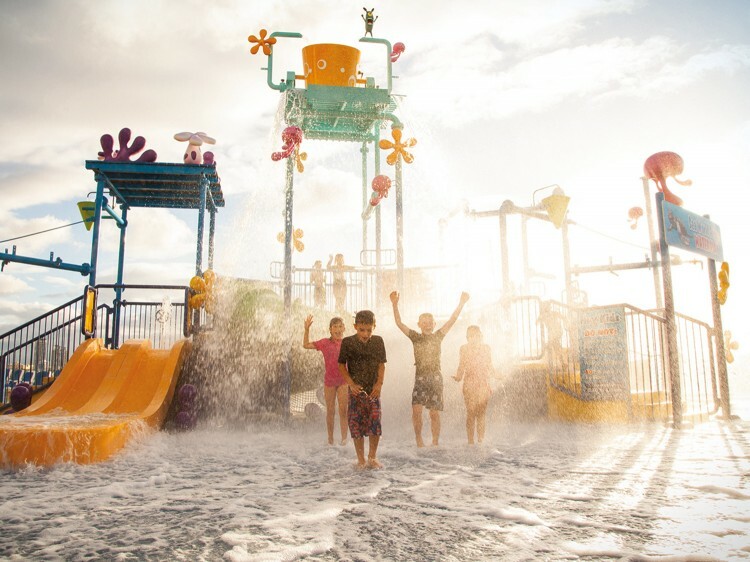 Water Play - situated within SplashBash is the Water Play area. Hours of good times are waiting with with water slides and a good soaking from the giant spray bucket. Light Show - experience the amazing LED light show down at SpongeBob SplashBash and watch the underwater world of Bikini Bottom come to life right before your eyes. With stunning special effects, synchronised water jets, a spectacular musical water fountain and colourful LED lights, this amazing theatrical show will truly delight the kids. Nightly from 8:00pm. Kids are lining up to meet their favourite Nickelodeon characters at Sea World Resort. Exclusive and free for Sea World Resort guests, the appearances happen each morning from 9am where SpongeBob SquarePants, Patrick, Dora, Diego or one of their friends greet guests in the lobby, providing plenty of photo opportunities and excitement! The Water Park is a giant recreational splash zone featuring a large kid friendly lagoon pool and a mammoth plunge. Entry to the Water Park is included free for all guests staying at the resort. Cool off in the hot Gold Coast sun in this family-friendly area that everyone will love. There’s a huge water slide that will provide hours of entertainment for the whole family, as well as a shallow kid’s pool featuring mini water slides and water fountains. You can relax in one of the stylish poolside cabanas complete with your own private and shaded space. It’s the perfect place to unwind while the kids splash about in the sun. Sea World Resort Watersports has an activity that is certain to put a smile on your face, and get your heart pumping! 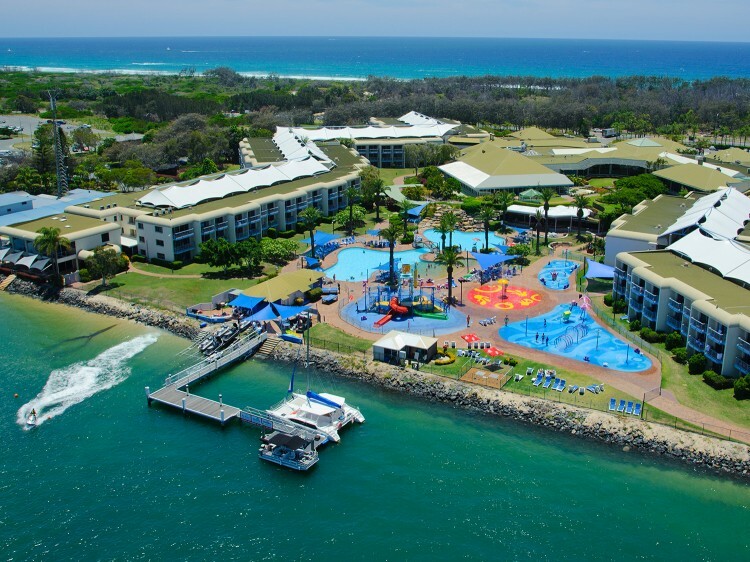 Located right on the shores of the idyllic water sports playground that is the Broadwater, the experienced staff at WaterSports can have you on the water and on your way to an experience you'll never forget. Not only can you choose to parasail, jetski or jetboat you could also action-pack your day and package all three together. The Nickelodeon-themed area includes kid-sized rides, Sea World’s first ever mini rollercoaster, new shows and all of your favourite characters including Dora the Explorer, SpongeBob SquarePants and the Teenage Mutant Ninja Turtles. The multi-million dollar Nickelodeon Land is an expansion of Sea World’s kids’ area with three distinct character neighbourhoods, four brand new rides, plus some of your favourites like the iconic carousel. Get ready for a rollercoaster adventure at Sea World’s Nickelodeon Land! Shoreline Restaurant - dine on the delicious daily buffet breakfast and nightly themed buffets of international flavours, including the famous seafood buffet, complete with delectable fresh hot and cold seafood sure to delight the tastebuds. Hatsuhana Restaurant - enjoy authentic Japanese cuisine at the multi-award winning Hatsuhana Restaurant and feast on the mouth-watering A La Carte and Teppan menus. It's a night of delicious entertainment not to be missed. Waterfall Cafe - head down to the Waterfall Cafe and enjoy delicious and fresh casual dining, then wash it all down with a cocktail by the beautiful lagoon pool as you lap up the Gold Coast sun. Lobby Lounge - sit back, relax and enjoy a scrumptious coffee and cake as you overlook the spectacular gardens. Dine on the delicious a la carte menu and choose from an array of gourmet sandwiches, light meals, pizzas or even a mouth-watering steak. * prices, inclusions and VIP Pass validity dates are subject to change prior to purchase. Garden view room with two double beds and balcony. Sleeps up to 2 adults & 2 children or 3 adults. Features two queen beds and balcony. Sleeps up to 2 adults & 2 children or 3 adults. A 5th person can be accommodated on a rollaway bed or an infant in a cot for an additional charge. Newly refurbished with garden views, two double beds, a huge 94cm LCD TV and balcony. Sleeps up to 2 adults & 2 children or 3 adults. Garden View with two double beds plus a kitchenette with microwave, crockery and cutlery. Sleeps up to 2 adults & 2 children or 3 adults. Newly renovated featuring beautiful views, contemporary decor, a king size bed and a range of amenities including a large LCD TV. A 3rd person can be accommodated on a rollaway bed or an infant in a cot for an additional charge. Equipped with one king bed, flat screen TVs, a safe, mini bar and high quality furnishings. Enjoy your own courtyard or balcony, as well as a beautiful bathroom with its own wall mounted TV to enjoy while you relax in the spa bath. A 3rd & 4th person can be accommodated on a sofabed at an additional charge. Guests will be required to provide a valid credit card and photo identification to cover incidental charges on arrival. Cash paying guests must provide a $200 cash deposit and room chargebacks will be unavailable.